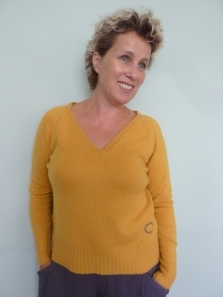 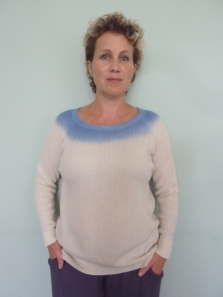 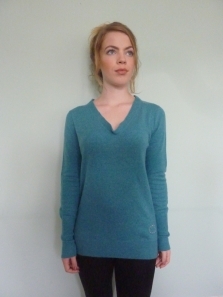 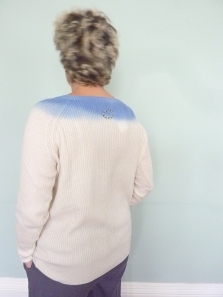 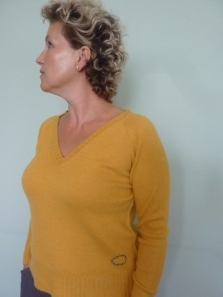 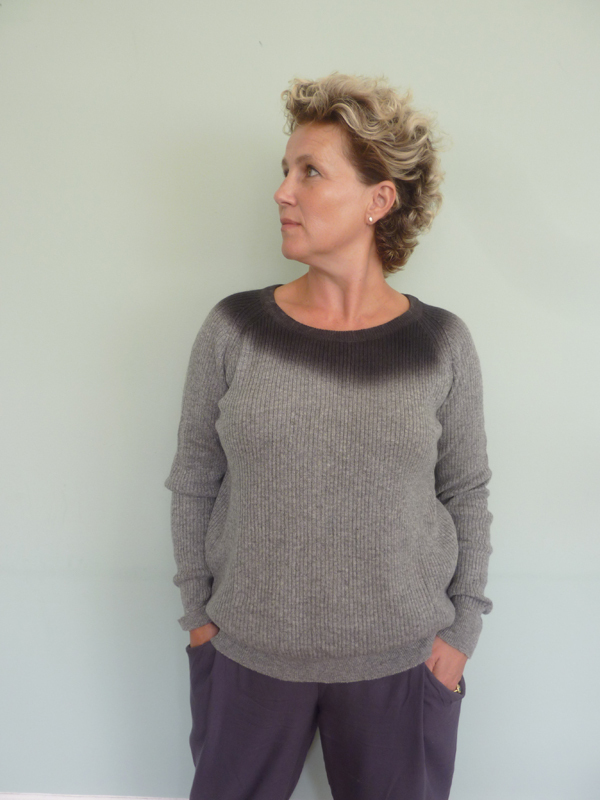 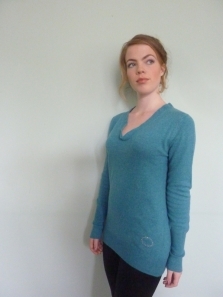 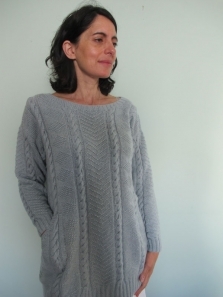 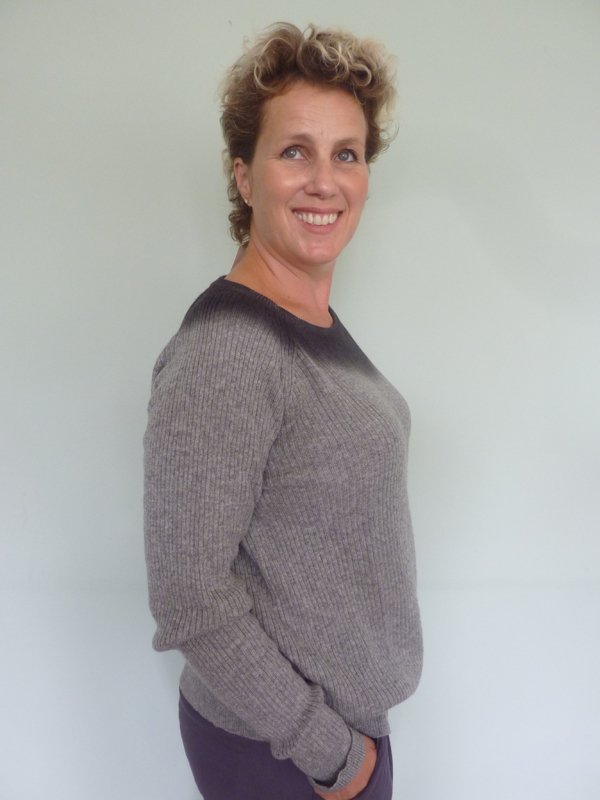 Classic, chic, wearable, on trend knitted cashmere ribbed jumper with dip dyed neck. 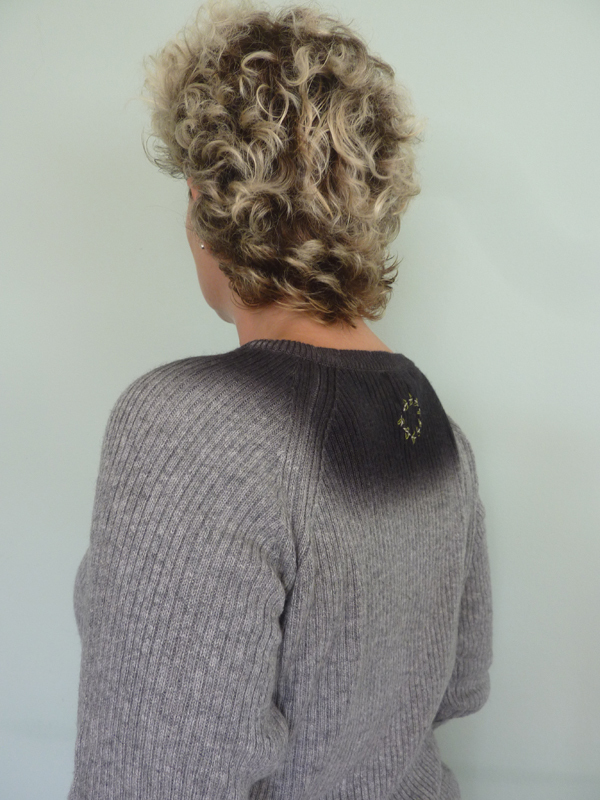 Our signature wreath embroidered on the centre back. 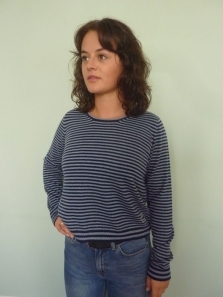 Wear it with cropped trousers or skinny jeans for essence of Brigitte Bardot.